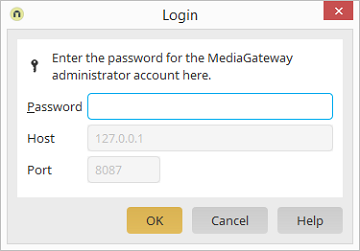 Enter the password for the MediaGateway Administrator account. The password only needs to be entered once per session. Host and Port are entered automatically.